Kuala Lumpur, 18th December 2008: The World's Tallest Christmas Tree. 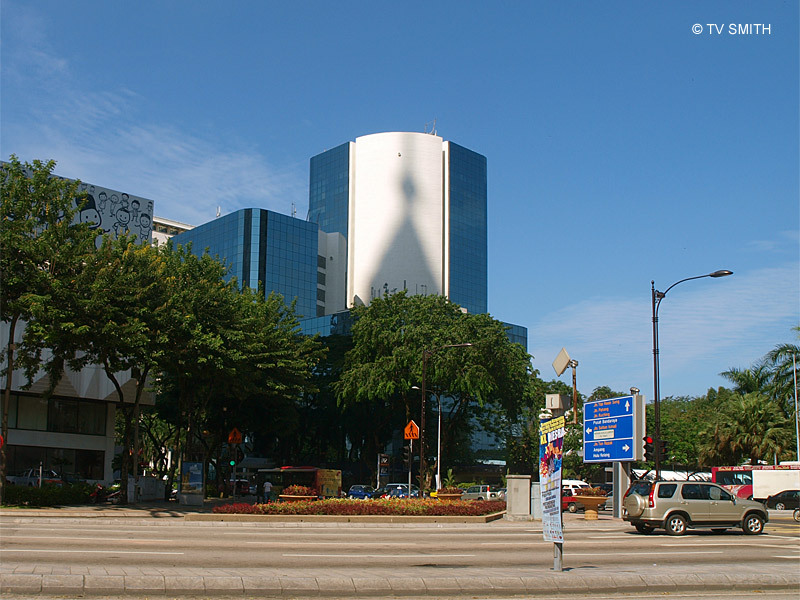 The shadow of the conical Petronas Twin Tower casts itself on the wall of a nearby building. It appeared only for a fleeting moment when sun, photographer and buildings align. Merry Christmas!